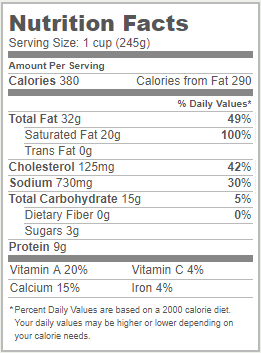 From the package: From our kitchen to yours, we deliver restaurant-quality lobster bisque to your table. 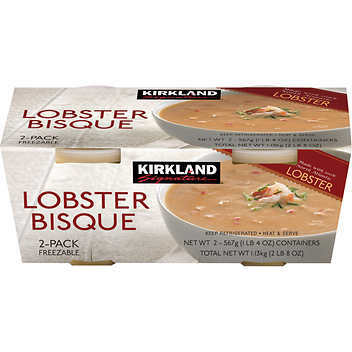 This Kirkland Signature recipe is full of succulent lobster meat in a delicious blend of fresh cream and sherry creating the smooth, sophisticated taste you’ve been looking for. Chefs love the versatility of this product, served in a bowl, over pasta, or even over their favorite seafood dish. This recipe has set the standard for lobster bisque in the world’s finest kitchens – why not add yours to the list?